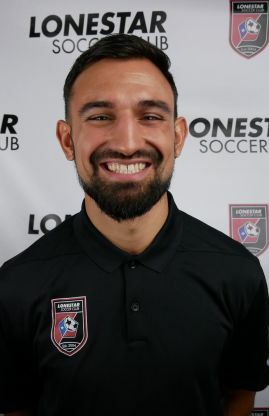 Julian attended and played soccer at University of New Mexico Lobos (NCAA Division 1) for 2 years and played for Eastern New Mexico University Greyhounds (NCAA Division 2) for 2 years. Starting CM for the Greyhounds and winning the First Men’s Soccer Conference for the program in 2011. Double majored in Psychology and Criminal Justice. He comes to Lonestar SC from Rio Rancho, New Mexico.